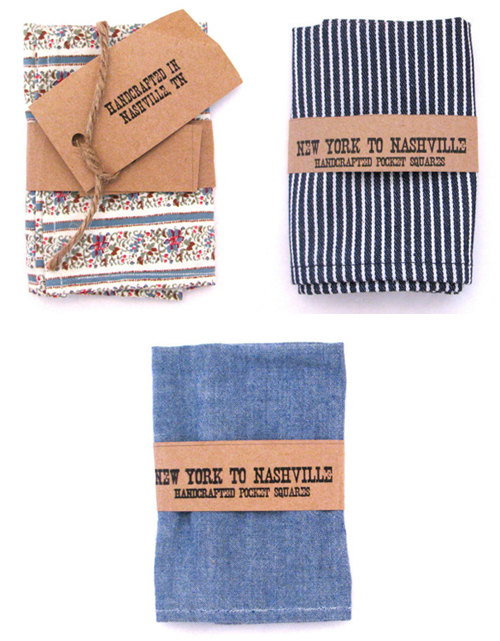 Danielle Romero of Nashville has a passion for collecting vintage fabric, as well as crafting by hand. 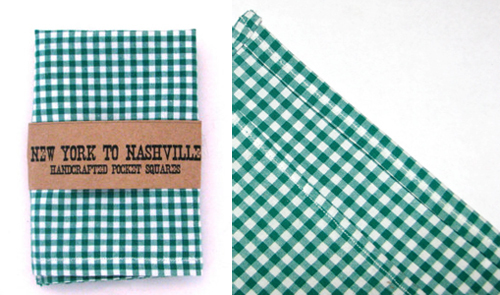 In her shop, New York to Nashville, (she's a Northern girl who now lives in the South) you'll find all number of pocket squares she makes from reclaimed fabric. This one may be my favorite- a vintage herringbone chambray. Since all of her fabrics are of reclaimed vintage stock, Danielle usually has enough material to craft just 4 sets, ensuring a unique product for your pocket. Check out Danielle's entire shop here, which includes cufflinks, suspenders and hats.